The app view. Green is normal users, red is people in distress, blue is first-responders. Screenshot of our "Mother Nature" webapp, which simulates natural disaster information. Image of the dashboard app for first responders. The red circles indicates users which are in distress. During a natural disaster, it's difficult to remain calm and figure out the best course of action the face of danger. This is where Disaster Guide comes in. By giving disaster victims clear instructions through a hands-free speech based interface, it provides the guidance necessary to help save lives. In addition, Disaster Guide is able to provide GPS data to allow first-responders to more efficiently find people who need help. 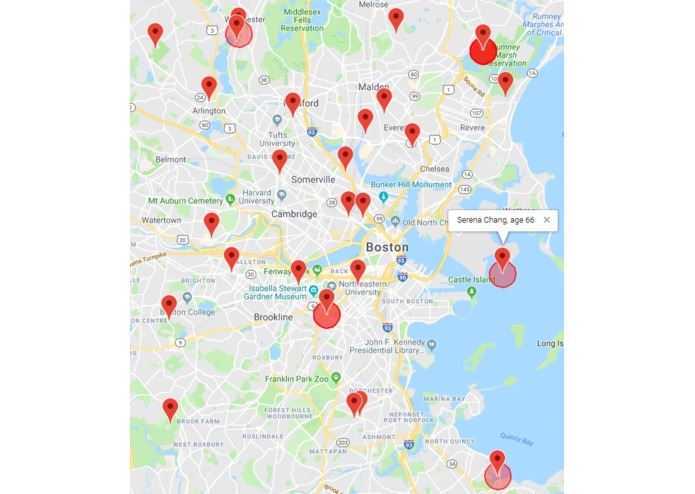 When a disaster occurs, the Disaster Guide app will notify users, and then give immediate to-do guidance to optimize the user’s chances of survival. The app will also send constant updates to our central server, which can then relay this information to first-responders. Users can also use voice commands to request various forms of assistance. These commands include activating a distress beacon, which will inform first responders which people are in the most need of first AID or other assistance. Disaster Guide consists of a centralized server which communicates with iOS clients as well as an online dashboard for first-responders. The server was built from scratch using python, PostgreSQL, and WebSockets, with the help of IBM-Watson for processing user dialogue. 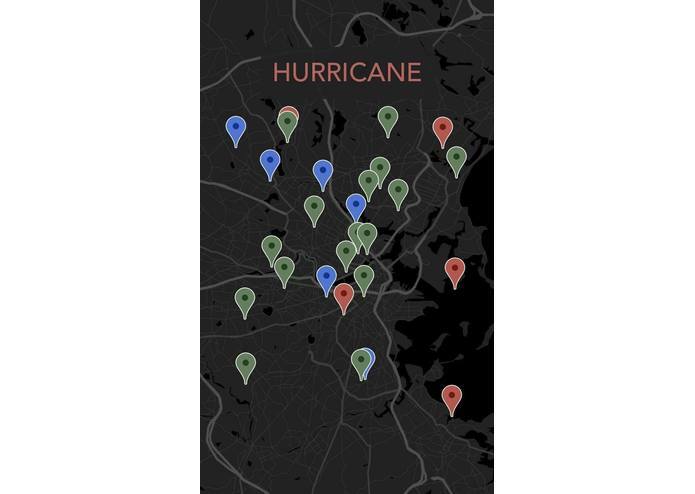 We used the Google Maps API's to display the real-time GPS locations for all disaster victims and first-responders. The user interface was built in Swift, with Speech-to-text capabilities, and Watson NLP processing. Finding a real-time source of natural disasters and who they would affect was challenging because many of the available sources are APIs which have limited hit capacities. To overcome this challenge, we created Mother Nature which pushes disaster information to the connected servers. 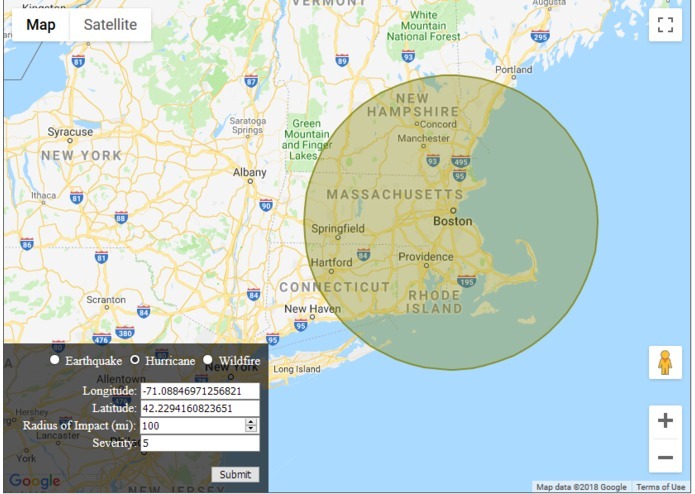 We are very proud of our use of IBM-Watson Assistant to create hands-free interface for providing guidance while minimizing unnecessary distractions, and our robust hand-made server to organize emergency information for a large number of people, all while providing clean visualizations of this data in Google Maps. This was our first time doing natural speech processing, and we are very satisfied with the result. We also learned that we can build a fast server and database completely from scratch for a hackathon. We would like to extend the capabilities to allow even more coordination between people. For example, Disaster Guide could potentially reduce traffic during evacuations by coordinating users to travel together. We would also like to integrate an extensive library of medical information to allow the app to further rank which people are in the most danger, as well as to provide medical instructions for users to perform first aid on themselves and on others.